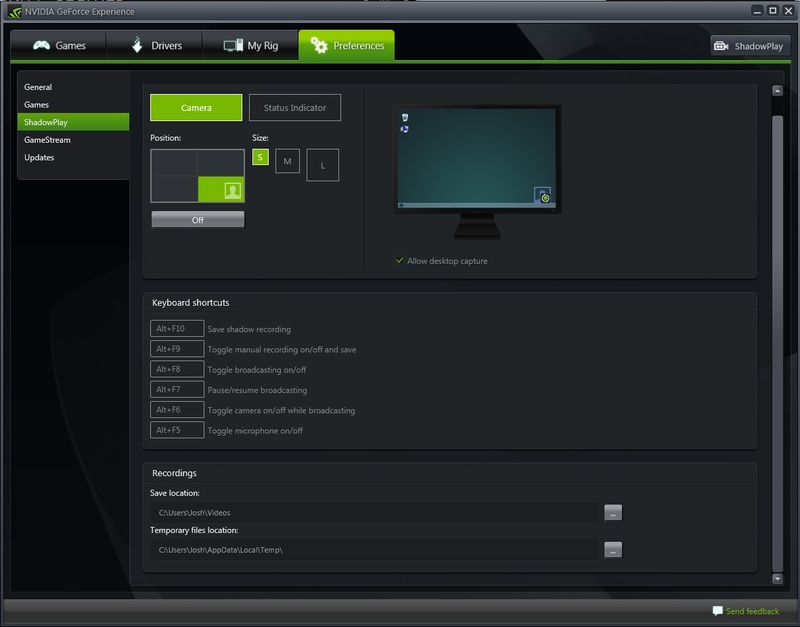 NVIDIA Home > Support Home Page > Knowledgebase Home Page > ShadowPlay icon appearing with a Red Slash while attempting to record. When trying to record with ShadowPlay, a red slash appears through the ShadowPlay icon. First, confirm that you are on the latest version of GeForce Experience, by using the Check for Updates button in Preferences. This issue can be caused due to not having enough free disk space in the default directory. Please free up space or change the default directory to one with enough space to store the recordings. You may wish to create a new folder (not in your your Users directory) to ensure that there are no permissions issues.